Goals: They are what motivate us to persevere and continue with tasks that are otherwise mundane, difficult, or unfulfilling. They help us to feel in control of our lives and give us direction. 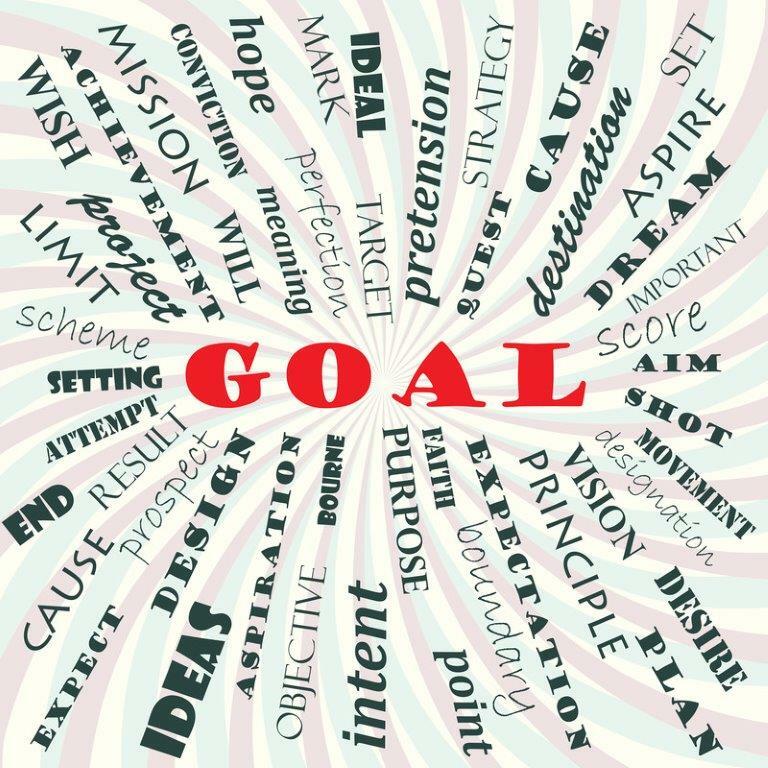 Goal setting is a concept that was first developed by Englishman Alec Mace. His studies from 1935, were the first to suggest that goal setting is the doorway to achievement. But although most people know goal setting is important, the desired destination can seem so far out of reach that it becomes nothing more than a dream. That’s because reaching your goals requires a strategic, actionable plan – If goals serve as the door to achievement, then an effective plan is a key to that door! Here are 9 crucial steps to creating the perfect game plan for achieving your goals. Those who document their goals are reportedly 50% more likely to attain them than those who don’t. Despite these percentages, only 3% of adults write their goals down! When writing down your goals, it’s important to include actionable verbs such as “Create”, “Formulate”, “Build”, “Complete”, “Develop”, “Hire”, “Host”, etc. This is a proven method to help keep goal-setters motivated. Out of sight, out of mind. Therefore, leave your written goals somewhere where you will see them often. Better yet, write a couple key words in reference to your goals on a sticky note, then post it on your mirror or desk where it will serve as a constant reminder to help keep you focused. If you try to tackle everything at once, your chances of getting overwhelmed and quitting increases tenfold. Focus on one achievable task at a time. Celebrate each small step forward as an achievement and it will help you stay motivated to keep going. Schedule time to review your goals periodically and evaluate the steps you have taken, as well as what has and hasn’t worked. Be prepared to adjust and make minor changes to your plan as necessary in order to keep it current and realistic. Telling your goal to someone else – or even to a group of people – can be a great way to keep you accountable. The motivation and urgency to achieve your goal will be increased if you have to report your progress to a friend, colleague, or support group. If you find yourself putting off a step, then it may mean you need to break it down into even smaller steps. This will help prevent larger projects from becoming too overwhelming. Setting deadlines for yourself is the best way to ensure you’re tackling each action item in a timely manner and keeping your momentum towards the main prize. Flag specific dates on your calendar and program reminders in your Outlook calendar to help keep you on track. Determine in advance when, where, and how long you will work on a step that requires a lot of focus and concentration. When you’re about to begin, minimize potential distractions by turning off your phone, TV, or any other electronic devices. Set an egg timer for the predetermined allotment of time, and commit to staying focused on the task at hand until the timer goes off. Feedback from others may shed light on what you have been doing right or wrong. Constructive criticism, coming from someone who has not been immersed in your project, may lend a fresh perspective and help you to stay on track. Setbacks are to be expected, but don’t let them affect your confidence or momentum. Pay attention to your attitude towards each goal. If you find yourself getting discouraged, take some time to remind yourself why you began this journey and the benefits you have to gain by sticking with it. Actively choosing to stay positive towards your goals will help you find the energy to keep moving forward. Essentially, effective goal setting is accomplished through many small steps in a structured, actionable plan. Goal setting is a skill that can take some time and dedication, but it’s an investment that will help you stay focused on unlocking the door to achievement!